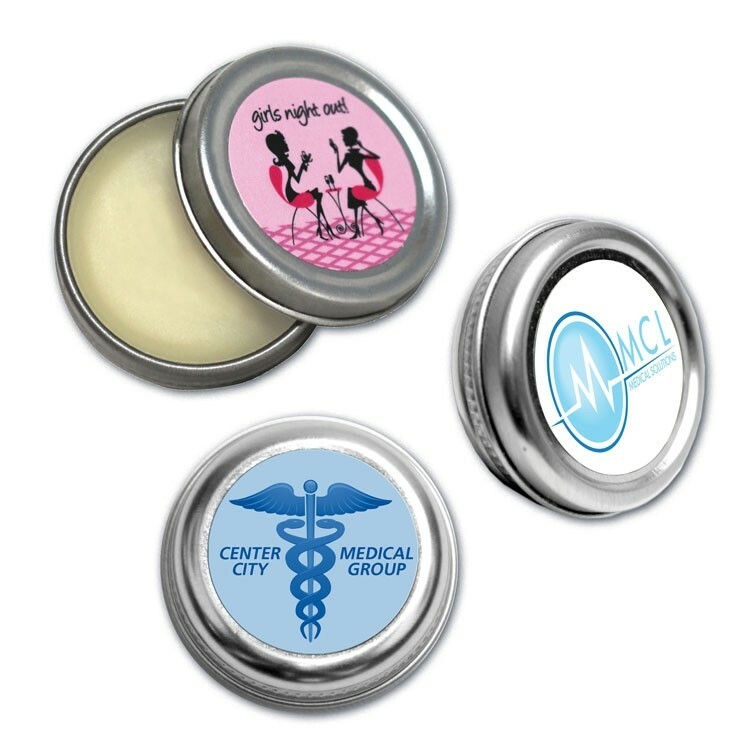 All-Natural Lip Balm in circular tin case. Round shape is perfect for sports logos and more VibraColor. Full-Color process label imprint.